4 Bdrm Upper Self-contained. Flat. V/bule. Hall. Lounge. Dining kitch. Utility rm. 2 Bdrms. 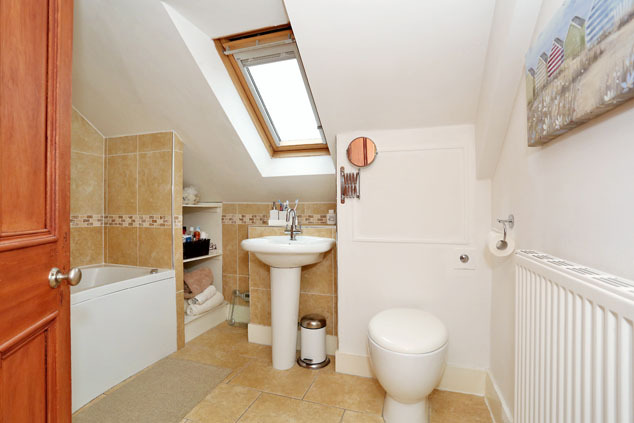 Bathrm. Cloakrm with wc. Upper flr: 2 Bdrms. Office. Bathrm (CT Band - E). Garden. 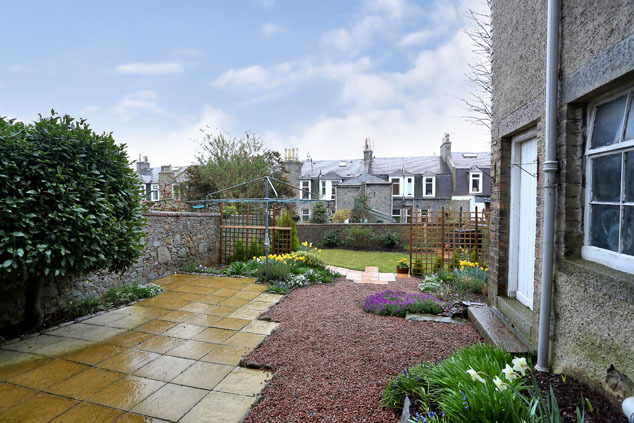 Price around £270,000 Entry by arr. Viewing 07814 037448 or contact solicitors. Below Home Report Valuation (EPC band - D). 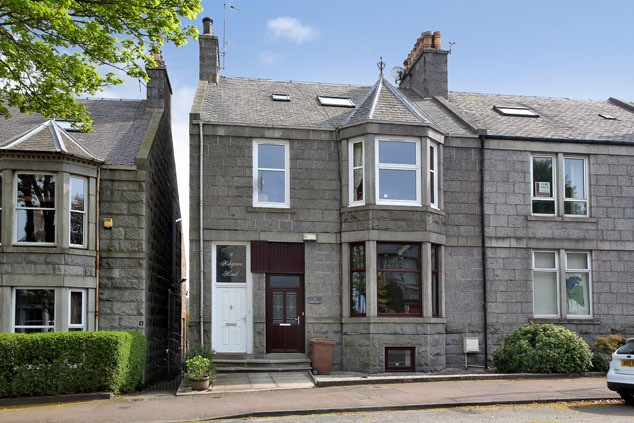 Beautifully appointed and boasting a wealth of period detail which is enhanced by tasteful presentation, this traditional granite self contained four bedroomed double upper flat lies in a popular and well established residential area and enjoys fantastic views across the city skyline. 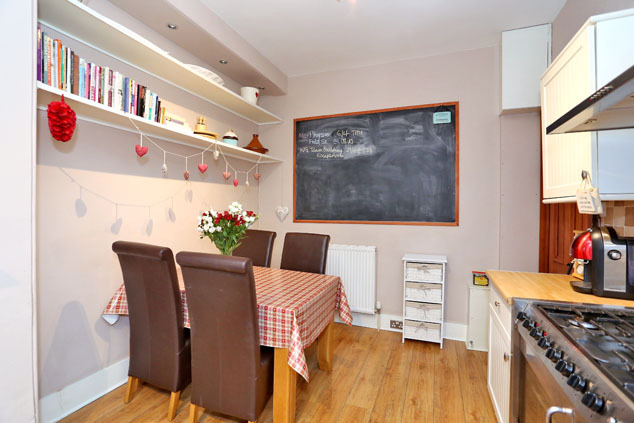 Offering a generous level of adaptable accommodation, the subjects are truly ready to move into and benefit from gas fired central heating and recently installed double glazed windows which are under guarantee, along with the security locking entrance door. 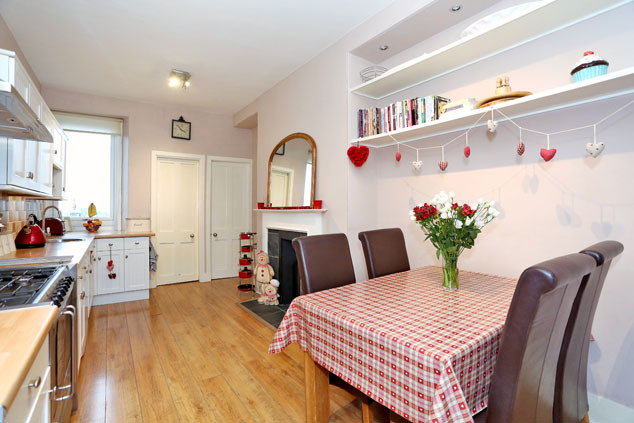 There is a lovely lounge with feature fireplace, a generously proportioned dining kitchen with access to a large utility room and also a door with steps leading down to the rear garden and a useful cloakroom. 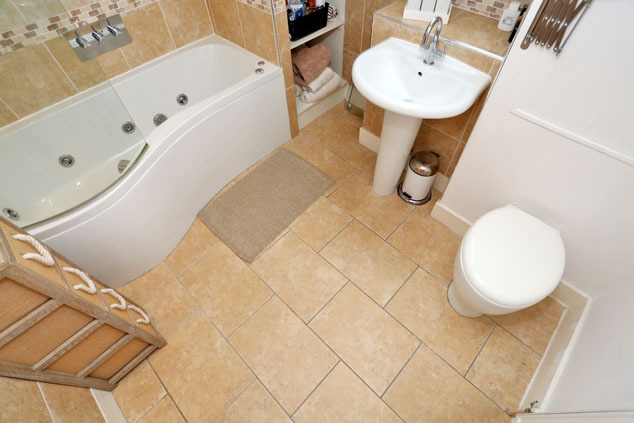 There are two adaptable double bedrooms and a bathroom, while the upper floor provides two double bedrooms, an office and luxury bathroom with Jacuzzi bath. 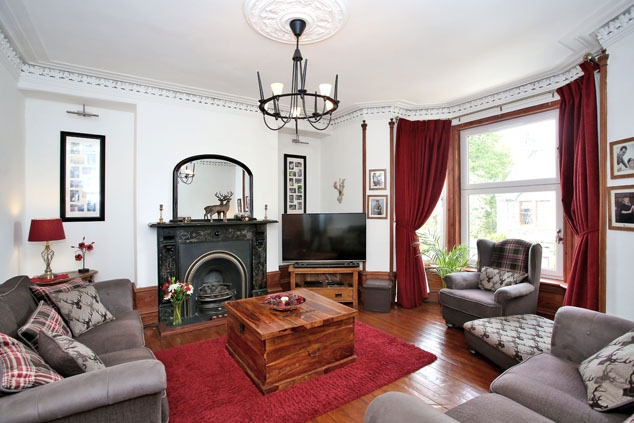 There are period feature fireplaces to most rooms, high ceilings with plaster cornice and deep skirting which along with the amazing views creates a most memorable property of which viewing is highly recommended. The discerning buyer will not be disappointed! 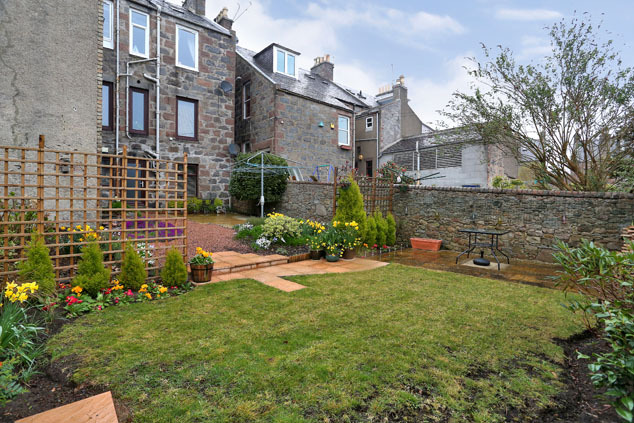 Ashgrove Road is an attractive tree lined street and the hospital complex at Forresterhill is only some five minutes walk from the property,as are the shopping centres within the Kittybrewster and Berryden areas. 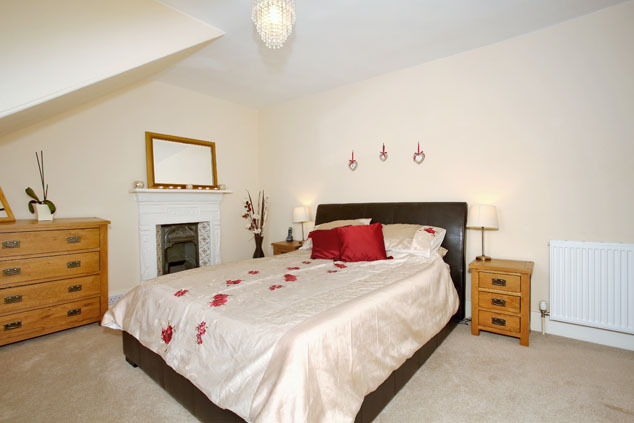 The city centre is some five minutes drive from the property and regular public transport is readily available. 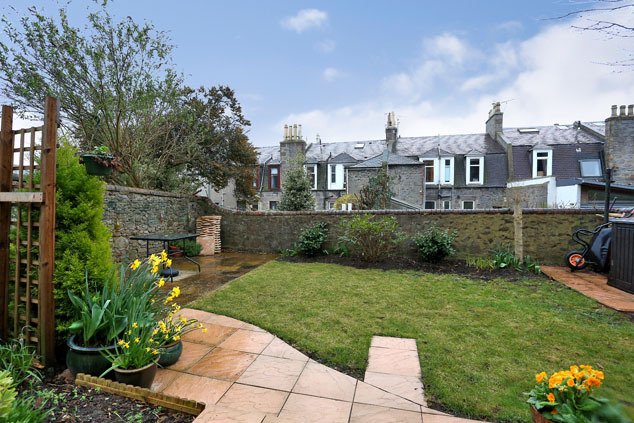 There are local shops in the area and lovely walks can be enjoyed in Westburn and Victoria Parks which are only a stones throw from the property. 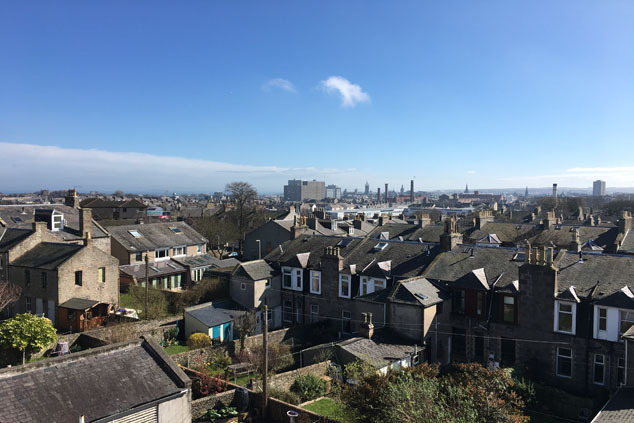 Enjoying easy access to Anderson Drive therefore to the main business centres to the north and south of the city, Aberdeen airport is also easily accessible. Reputable nursery, primary and secondary schools are in the area. First Floor Hall 10’1” x 9’1” [3.09m x 2.78m] approx. 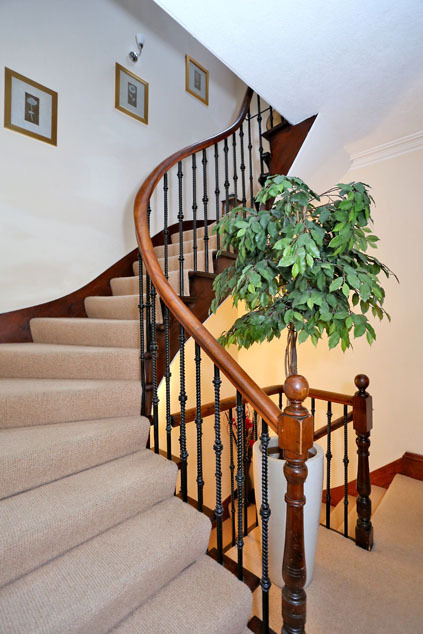 at longest and widest A spacious first floor hallway with beautiful pitch pine doors and fascia to the accommodation and a carpeted staircase with turned wooden handrail and balustrade to the upper floor. 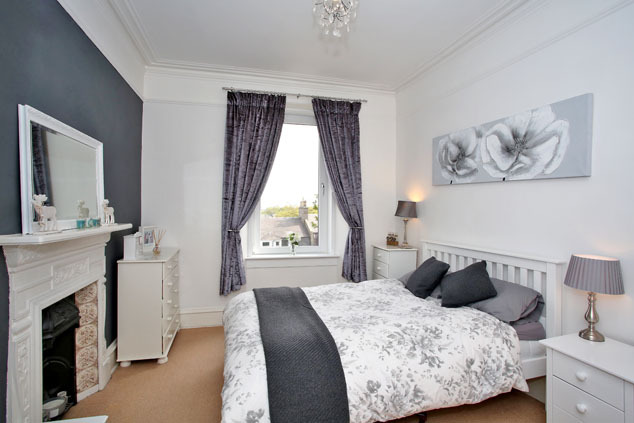 With neutral décor and carpeting, there is a high ceiling with plaster cornice and deep skirtings. Lounge 17’0” x 15’10” [5.20m x 4.85m] approx. 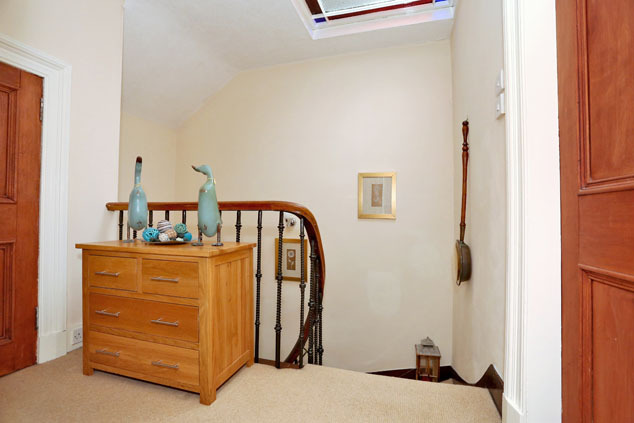 into alcove An elegant lounge with bay window to the front affording great natural light. The tasteful décor enhances the traditional wooden flooring, double pitch pine skirting, high ceiling with ornate cornice and ceiling rose. An attractive focal point is the traditional slate fireplace with inset living flame gas fire and this has two alcoves to either side. Note, the curtains in the lounge will not be included in the sale. Utility Room 16’2” x 5’7” [4.93m x 1.71m] approx. 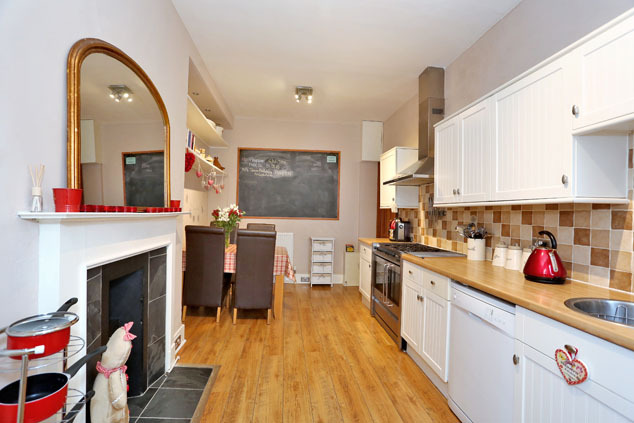 at longest and widest A most useful area which has a worktop, shelving and the automatic washing machine will remain, along with the upright fridge/freezer. The gas fired central heating boiler is located here. Bedroom 2 13’2” x 10’1” [14.12m x 3.09m] approx. 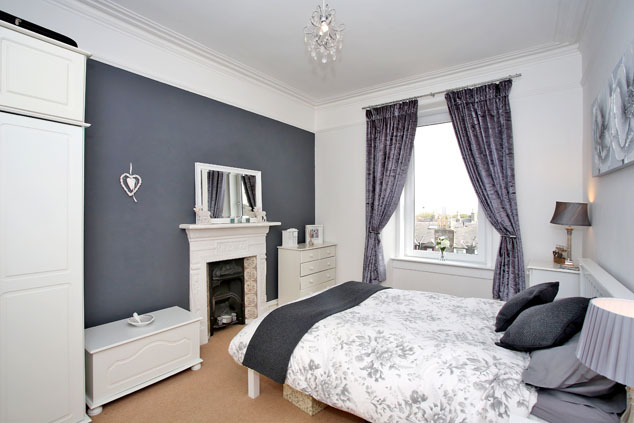 Well proportioned and with a high ceiling with plaster cornice, a tall window enjoys a pleasant outlook to the rear and the room has fresh white décor to three walls, a feature grey wall within which sits a traditional non-functional fireplace and there is co-ordinating carpeting. Bedroom 4 9’6” x 8’5” [2.91m x 2.57m] approx. 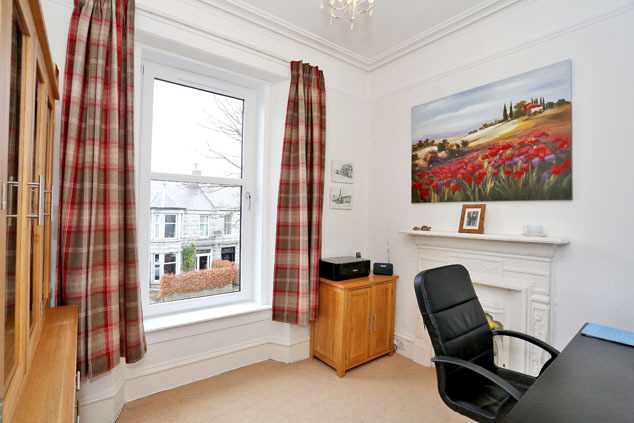 Currently utilised as an office and overlooking the front, this room could easily be a double bedroom but is ideal as a large single. 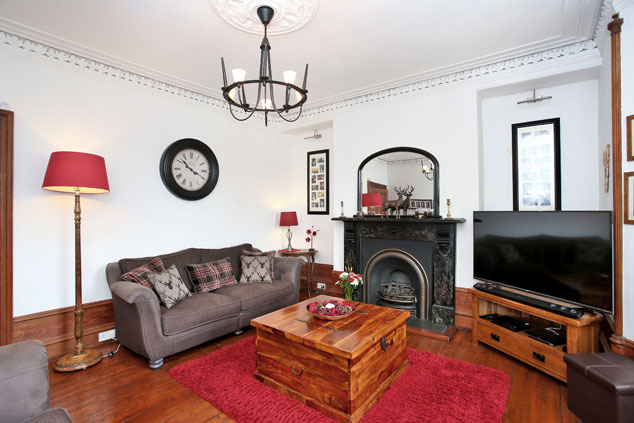 There is a traditional non-functional fireplace, a high ceiling with plaster cornice and picture rail. Bathroom 8’7” x 4’5” [2.63m x 1.35m] approx. 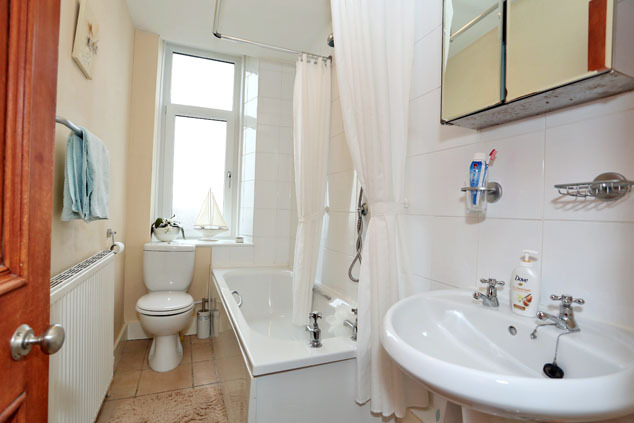 Fitted with a white suite comprising of a bath with mains thermostatic shower over, shower curtain and rail. 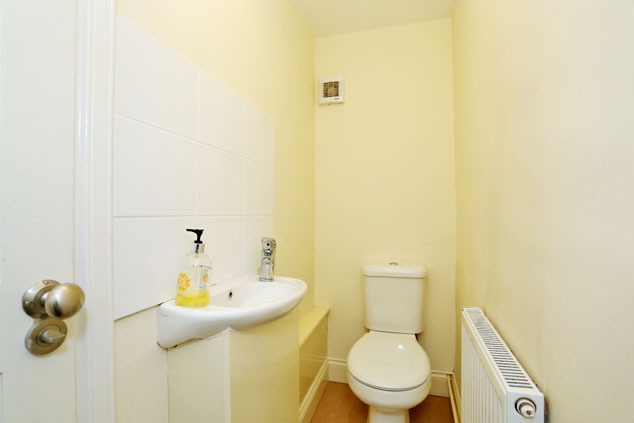 There is a w.c. and a pedestal wash hand basin. 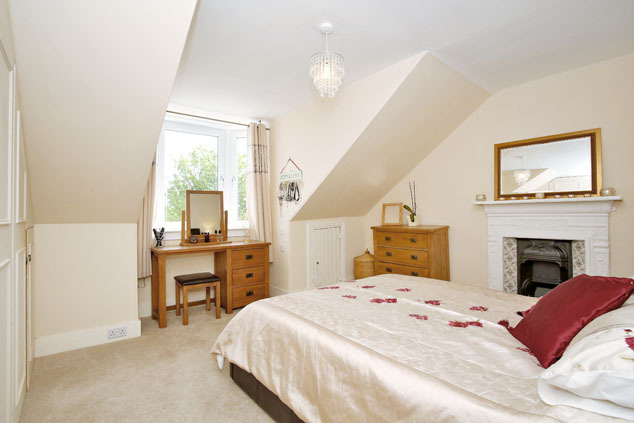 The room enjoys neutral décor and ceramic floor tiles. A tall opaque window draws in natural light from the rear. 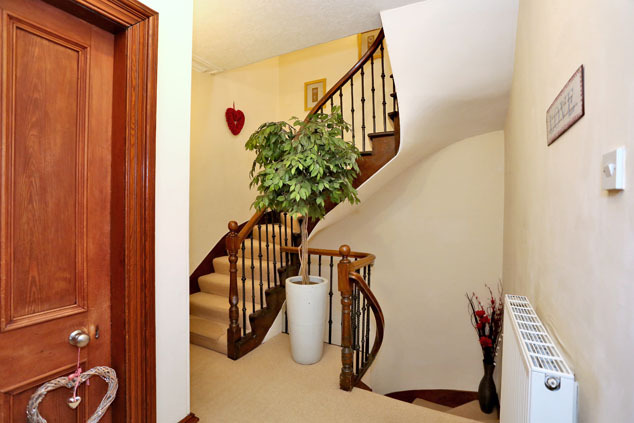 Cloakroom Fitted with a wash hand basin and w.c.
Upper Hall A traditional staircase rises to the upper hall from the main hall as does the neutral décor and carpeting. There are traditional panelled doors to the accommodation. Master Bedroom 14’10” x 13’5” [4.53m x 4.09m] approx. A bow window to the rear enjoys fabulous views across the city. 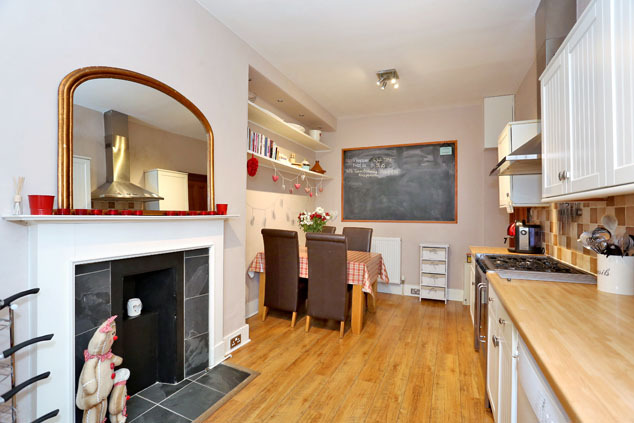 Decorated in neutral tones with traditional wooden flooring, there are ceiling lie-ins and a non-functional quant fireplace. Built-in wardrobes provide excellent hanging and shelving storage. Bedroom 3 14’11” x 8’2” [4.57m x 2.51m] approx. 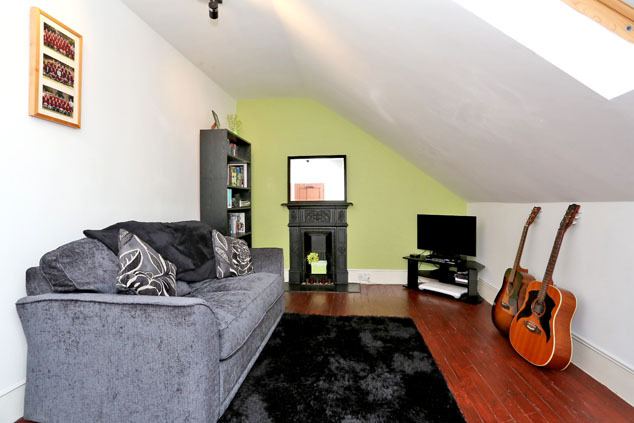 Currently used as a family/sitting room, this double bedroom has a large velux window to the front affording natural light. 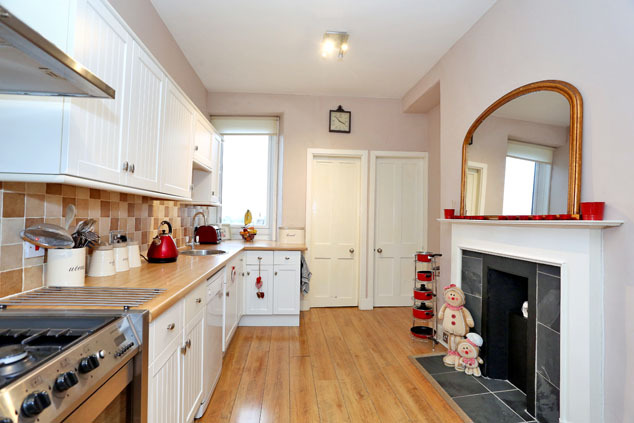 With traditional wooden flooring, there is again a traditional style non-functional fireplace and tasteful décor. Office 8’11” x 4’8” [2.73m x 1.44m] approx. 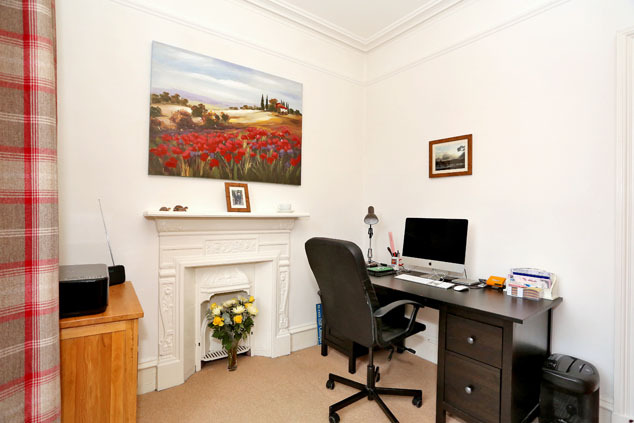 With a fitted desk and drawer unit, this is ideal as a study/office. 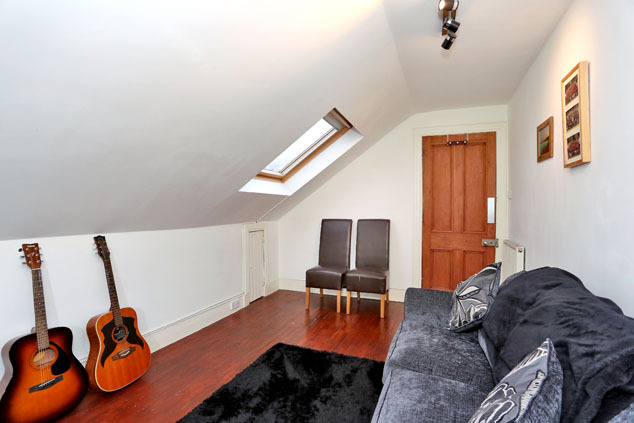 There is a deep ceiling lie-in and a velux window to the front. Bathroom 8’8” x 6’4” [2.65m x 1.94m] approx. 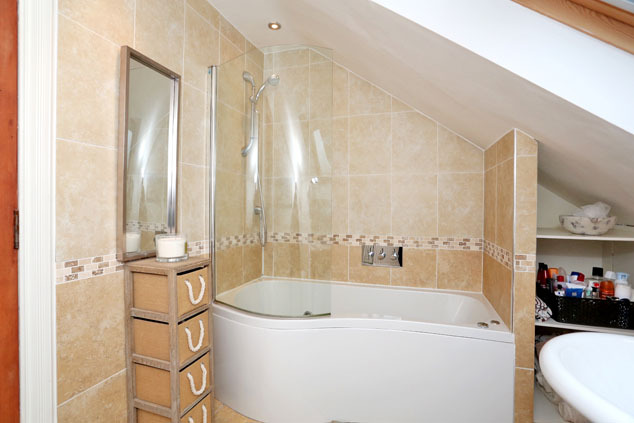 This luxury bathroom is fitted with a Jacuzzi bath with mains thermostatic shower over, curvilinear glazed shower screen and extensive tiling to the shower area with mosaic details. There is a pedestal wash hand basin, a w.c. with concealed cistern and a shelved recess for towels and toiletries. Velux window to the rear. Ceiling downlighters. 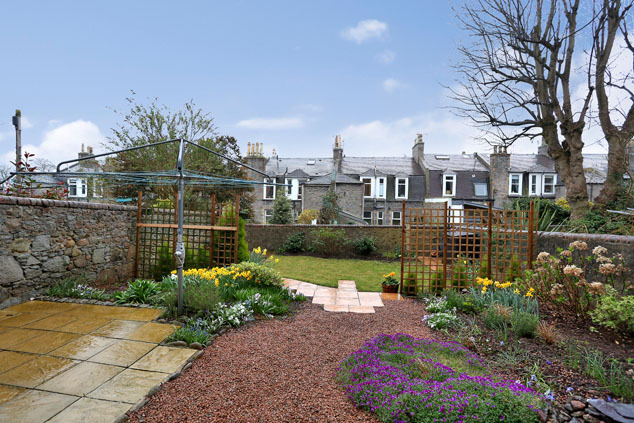 Outside The exclusive area of garden is clearly defined by high fencing and trellising, there is an are of grass and paved patios for dining al fresco. The garden shed will remain. Notes Gas fired central heating. uPVC double glazing and security locking door installed in July 2016 and currently under guarantee. EPC=D. All fitted floor coverings, curtains blinds, light fittings and kitchen appliances are included in the sale. 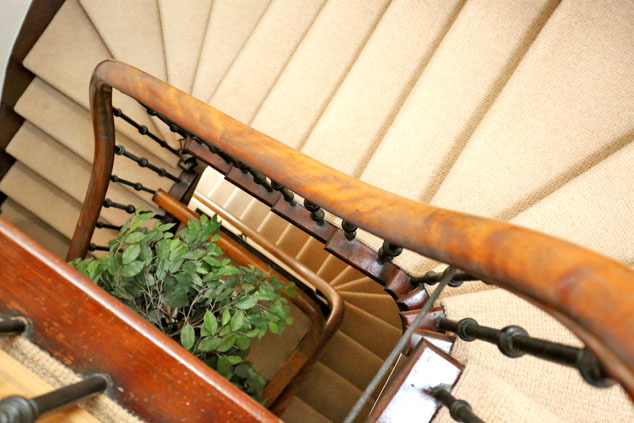 Further large items of furniture can be made available by separate negotiation. Note, the curtains in the lounge will not be included in the sale.